My friend Meryl and I are always looking for something fun to do, and today we found our activity. 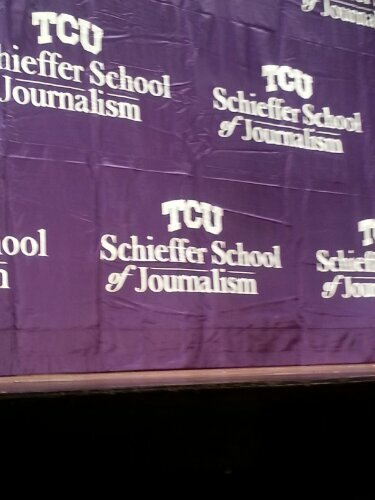 The Schieffer Symposium at Texas Christian University always features some of the best journalists in the nation. This year was no exception. 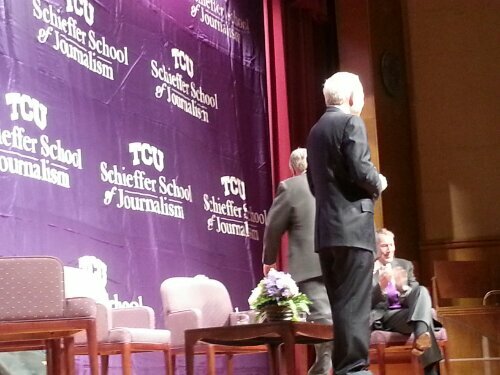 Along with Bob Schieffer commentating there was Fred Barnes from The Weekly Standard, Clarissa Ward, CBS News Foreign Correspondent, Nancy Youssef, Middle East Bureau Chief, McClatchy Newspapers and Charlie Rose, Co-host of CBS This Morning and Person to Person. I have always thought you should learn something every day and today was no exception. 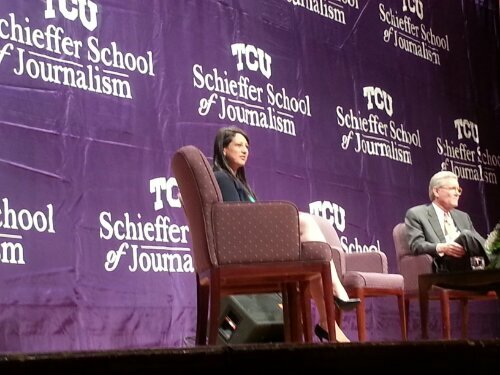 The panel was outstanding, funny and informative. Below are scenes from the event. 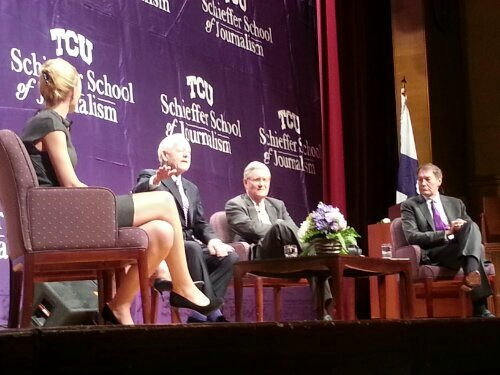 Clarissa Ward, Bob Schieffer, Fred Barnes and Charlie Rose. 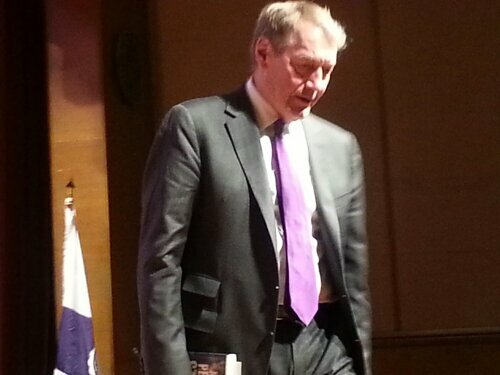 Charlie Rose was the only one that stayed around to talk with the audience. He was amazing. My coworker Meryl and I had a wonderful time. Remember “thisisyourbestyear”. I AM THRILLED THAT YOU GUYS HAD A WONDEFUL TIME AND LEARNED SOMETHING. We did. They have some wonderful programs that are open to the public.